Participatory Budgeting (PB) is a system of direct democracy where residents suggest and then vote on how City funds are spent within their community. Through Councillor Carroll’s advocacy, the City of Toronto completed a 3 year pilot project of PB in the old Ward 33. Residents’ votes successfully funded 14 capital projects over the 3 years. Before the official City of Toronto pilot project, Councillor Carroll independently ran PB processes for 2 years. This term, Councillor Carroll is committed to continuing PB in Don Valley North, with a process occurring this year. If you’d like to learn more or get involved in making PB happen, join us on May 23rd from 6:30-8PM in Parkway Forest Community Centre, 65 Forest Manor Rd. Below are descriptions and the status of each PB project which was passed, with pictures of a few completed projects. New gateway on the northwest side of Brian Village Drive at Sheppard Avenue East will include seating, and new curved planters for landscaping. Outdoor fitness equipment will be added in Bellbury Park. 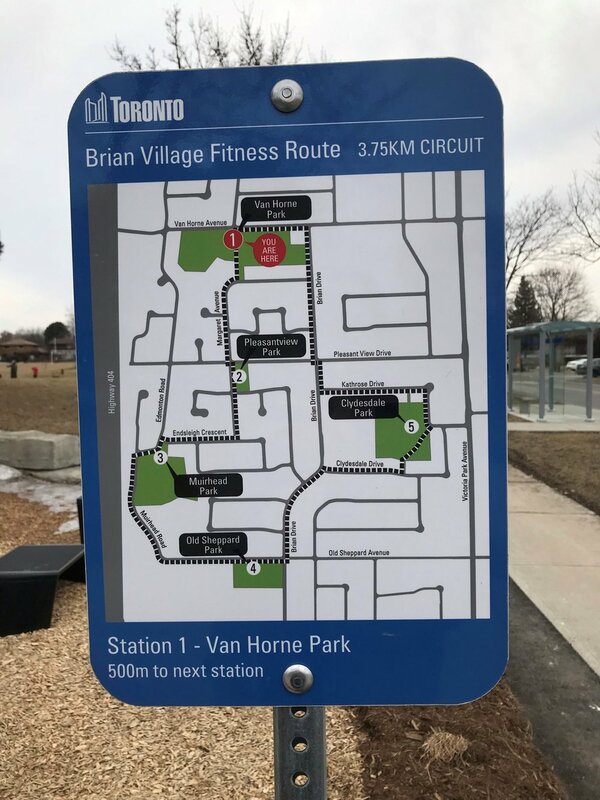 Lockers will be added near Don Mill Subway station, at Don Mills and Sheppard, to create a secure place to lock bikes and make it easier for people to include physical activity in their travel. Naturalized butterfly garden on northeast corner of Buchan Court and Sheppard Avenue East. Rubberized or gravel track for running and jogging. Add curb cuts and signage where paths meet streets. Replace 2-3 existing water fountains in parks with water bottle-filling stations. 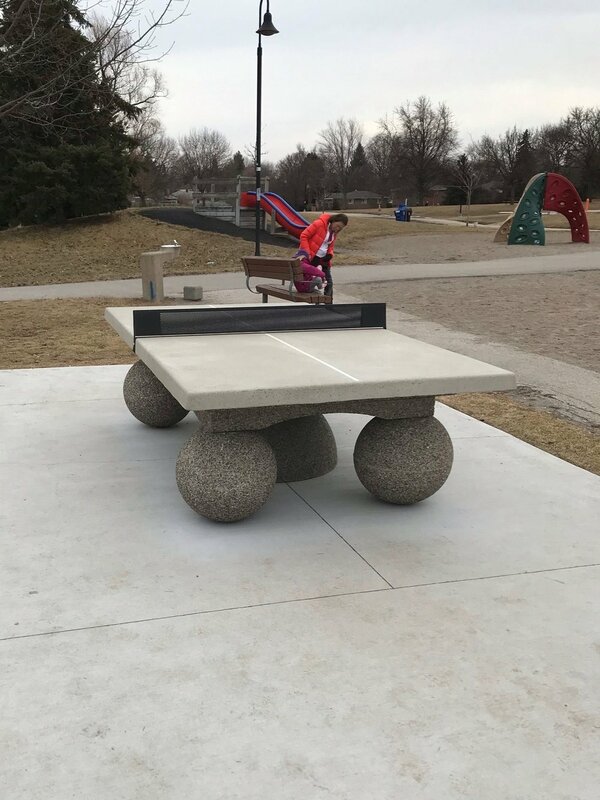 Outdoor concrete ping pong table to encourage fun and physical activity. Add 4-5 new benches for seating. Outdoor fitness park for all ages. Outdoor fitness park for all ages, with focus on equipment to help seniors stay active. Three new benches for seating, and re-painting of playground. A small sports pad for ball hockey/hopscotch/rollerblading, a “bench fit circuit” with 7-8 fitness benches, and add pickleball to one or more tennis courts. Curb cuts and path connection at Shawnee Circle at Micmac Crescent, near playground.